The Ball State University GIS Research and Map Collection (GRMC) created a special map (above, click to enlarge) commemorating the life of Dr. Martin Luther King, Jr. The map is based on the book M.L.K. : Journey of a King by Tonya Bolden (available in the General Collection of Bracken Library). 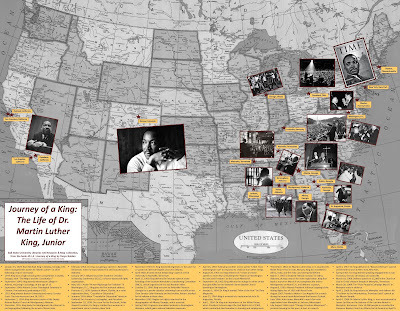 The map includes a timeline of important events in Dr. King’s life. 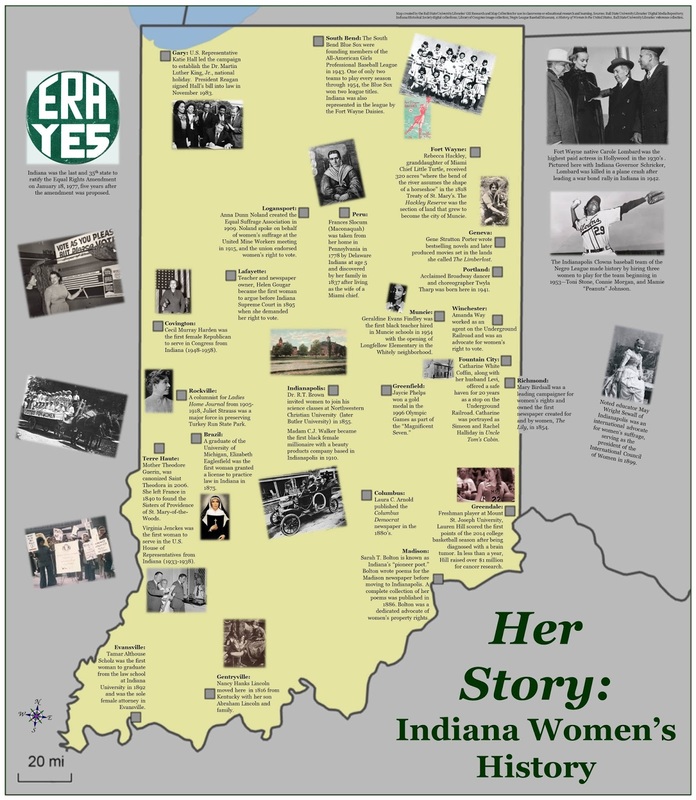 The map is available from the Cardinal Scholar repository and may be used for displays, the classroom, or other research and learning. The GRMC also created a map recognizing U.S. Representative Katie Hall from Gary, Indiana. Hall led the campaign to establish the Dr. Martin Luther King, Jr. National Holiday. 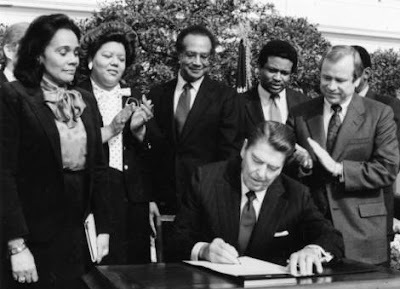 President Reagan signed Hall's bill into law in November 1983. Hall is featured on the GRMC Indiana history map, Her Story: Indiana Women’s History. This map is also available from Cardinal Scholar. For more information about these maps or other cartographic resources, please contact the GRMC at 765-285-1097.